This will be the first of five posts that summarize my personal understanding of the theology and mega-message of the New Testament. I have 100 words or less to get it done, and I really want to hear back from you about what seems to be missing. Adam and all his sons have failed their call to love God and each other, and rule over the earth as His image. Jesus, God the son, is the pleasing one, succeeding where all others have failed. In birth, life, death, burial, and resurrection, Jesus has vindicated the goodness of God, and through resurrection God has vindicated Jesus, and has set him over the creation as the anointed King. All who come to God in Jesus will live with him in endless fellowship and joy when heaven and earth are rejoined again under the reign of the risen son. 98 Words. What did I miss? GO! I think it’s a great overview, but I can see where some down and out non believers with no concept of fellowship or joy may not understand why they should be excited about this. I’m not critiquing the content… Maybe just the delivery? OS – great insight. So, to put it in the form of a question, are you asking, “Why should this message provoke joy or anticipation of eternal fellowship?” Give me some ideas about, or a short sentence that would speak to that. It sounds like you’re saying I’m missing the evangelistic angle. That, if true, makes sense. HELP bro. I can cut a few words, and add others. Again, I’m committed to 100 words or less. 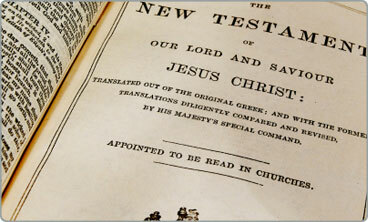 There is, no doubt, an invitational, proclamational, and evangelistic emphasis in the New Testament. I like the idea of building that into this. Excellent, Kenny. Probably something that I would add would be a portion of Jesus the Christ as the story of Israels consummation so that the whole OT gets some representation and deliverance. yes, if this message is meant as an overview for believers than you’re done. If this is a message meant to encourage believers and attract interest from non-believers it seems to be lacking. Ideas I can think of revolve around Paul’s way of appealing to those he is writing letters to. There seems to be a very personal touch. Paul at times seems to be pleading with the audience. It comes off very genuine and also reveals Paul’s own vulnerability which most people can relate to. I can’t think of a short sentence but think a delivery format written more like Paul’s letters could help. Keep working, I know you are a great teacher and believe this >100 word message is a good idea. This formulation suggests that Jesus only became king in his exaltation, rather than reflecting how the inauguration of the kingdom of God in Jesus’ life and ministry before his death was already the core of his message and action. Nice. I was thinking the same thing! Yes, that was a part I was wondering about too…. it seems like the kingship of Jesus could be better expressed? Dang. Yep. Needs clarification. Excellent feedback. I can’t believe, in retrospect, that I wrote it like that. Change coming there for sure. Thanks Jon. I totally agree.